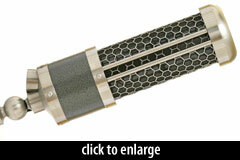 The AL39 is a large-geometry, passive ribbon microphone with a toroidal output transformer. It incorporates some of the characteristics of the custom motor design of Samar Audio’s premium MF65 microphone, at less than half the cost. In particular, the AL39 was designed to have an extended high-frequency response superior to traditional ribbon designs. The motor design provides a very short audio path around the ribbon — described by Samar representatives as “shortest front to back acoustical path ever seen in ribbon microphones” — which influences the frequency response. Passive acoustic filters are used to further shape the mic’s response. The ribbon motor has a fine-tuning adjustment that allows the factory to ensure a consistent sonic response. The ribbon itself is machined from 1.5-micron aluminum. Rather than a typical corrugation pattern, it is treated to a proprietary corrugation that maintains its shape without requiring vertical storage. 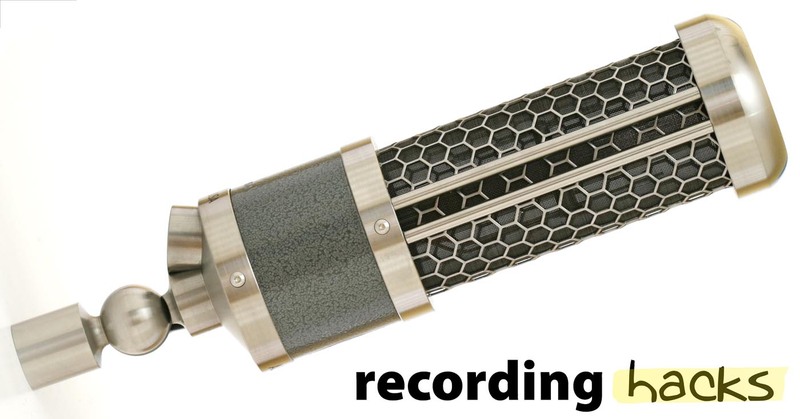 The microphone incorporates a swivel joint that allows over 180° of angle adjustment. The XLR jack is machined into the lower housing of the microphone, behind the swivel joint. Like all Samar Audio products, the AL39 is manufactured entirely in Salt Lake City, Utah, USA. It is covered by a 5 year parts warranty, and a 2 year limited ribbon replacement guarantee.